The latest work of legendary Kannada novelistand Saraswati Samman Awardee S L Bhyrappa "Uttarakanda", 336-page novel based on throbbing issue of Ramayana. The novel is an attempt to look at Lord Rama's story from hiswife Goddess Seetha's perspective and experience. This is thesecond time that Dr. Bhyrappa is tackling an epic. Thirty-sevenyears ago, he wrote epoch Kannada rendering 'Parva', a re-telling ofthe Mahabharata. 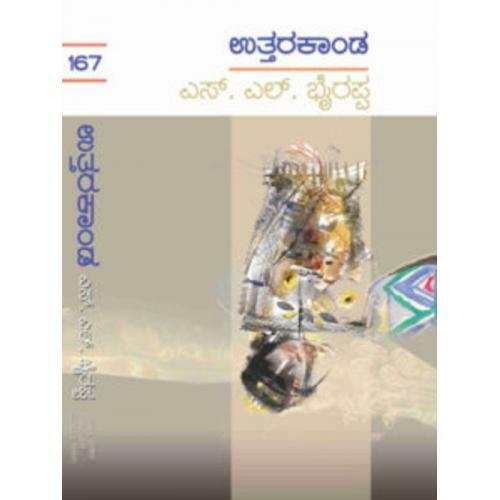 Dr. Bhyrappa is one of the most widely read writers in Kannada whose works and stances have often stoked controversies.